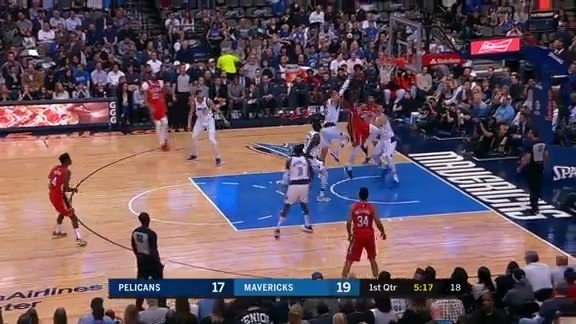 DALLAS – On a night when longtime Dallas franchise player Dirk Nowitzki made some NBA history, lesser-known names like Kenrich Williams, Frank Jackson and Cheick Diallo helped New Orleans pull off a much-needed, comeback victory. 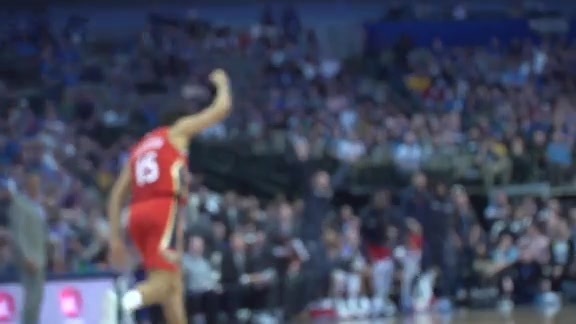 After Nowitzki moved into sixth place on the all-time scoring list – passing legendary center Wilt Chamberlain – Pelicans trailed for much of the night, including by 10 at halftime. 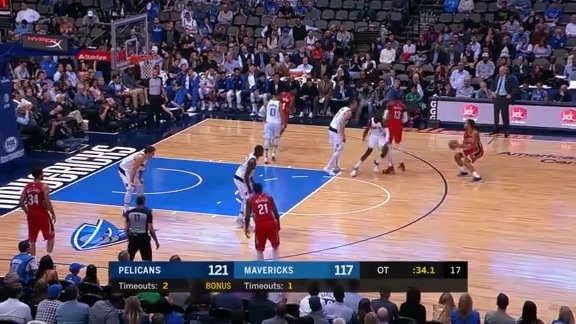 Relying mostly on lineups featuring reserves and young players, New Orleans outplayed Dallas after intermission, then took over in the first few minutes of overtime. 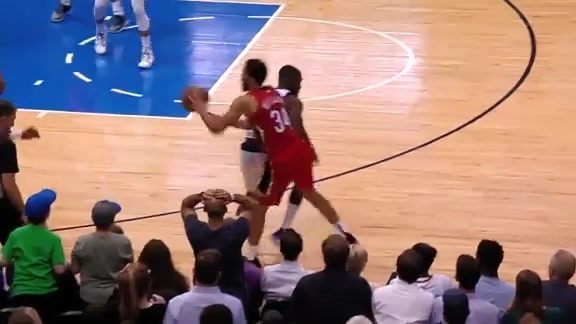 Williams made a momentous defensive play in the final seconds of regulation, picking off a Dallas pass in the backcourt, leading to a Julius Randle dunk that put the Pelicans in front by a point. 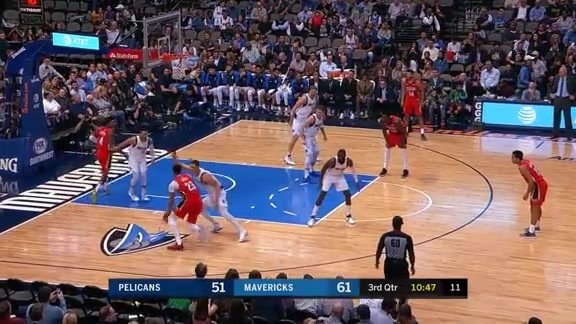 Luka Doncic then sank a game-tying free throw with 1.9 seconds to go, forcing an extra five minutes of basketball. 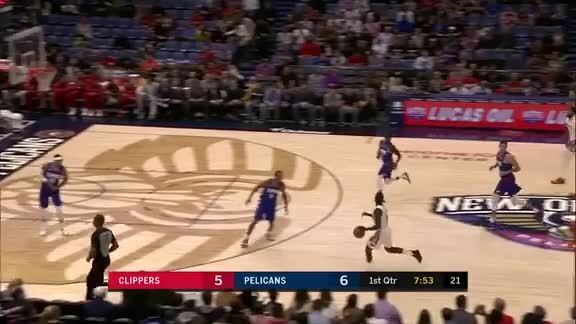 Jackson drained a dagger three-pointer from the right wing, giving the Pelicans a seven-point lead with 32 seconds left in OT. Jackson’s trey sent many Dallas fans to the exits after a long night of hoops. 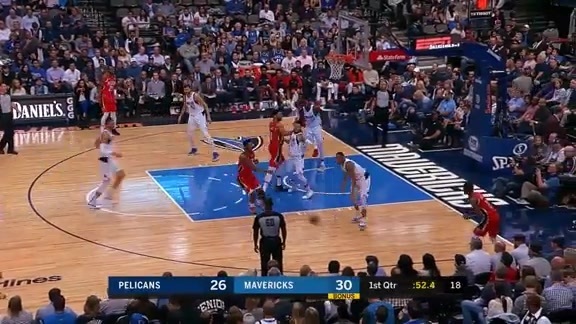 The Pelicans iced the victory with free throws from there, even though the Mavericks kept getting two-point scores at the rim. 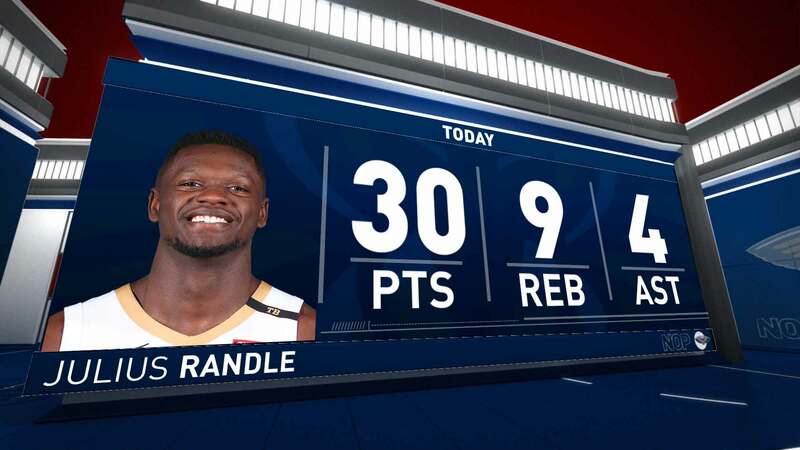 While Elfrid Payton notched a fifth consecutive triple-double – becoming just the fifth different player in NBA history to achieve that feat – Randle was instrumental in the fourth quarter, going on a prolonged stretch where he scored all of New Orleans’ points. 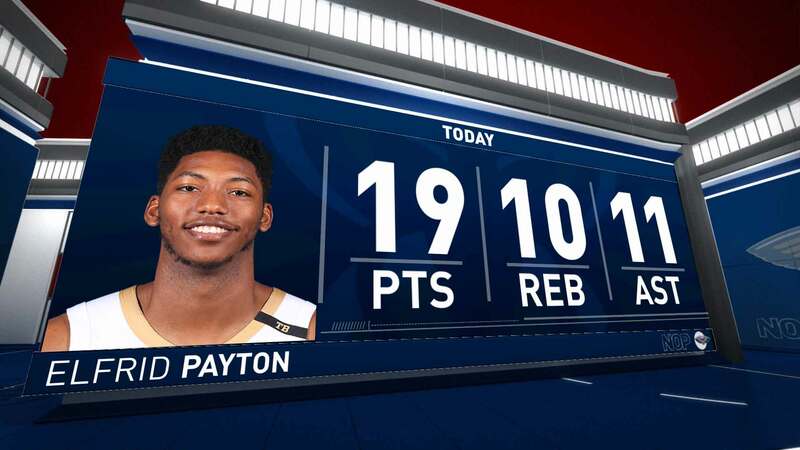 Payton finished with 19 points, 10 rebounds and 11 assists, benefiting from the extra five minutes, because he was just shy of a triple-double at the end of regulation. 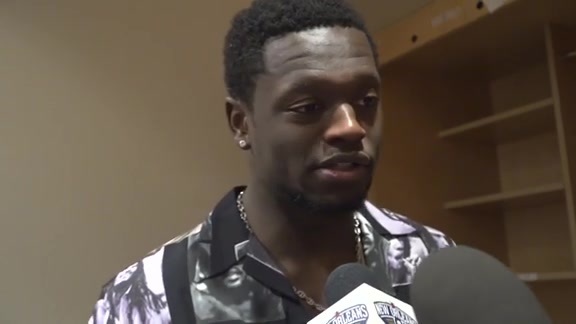 Randle deposited 30 points on 14/24 shooting from the field, also grabbing nine rebounds and handing out four assists. 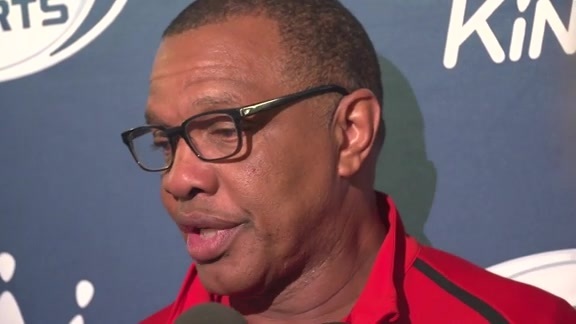 After Randle experienced some Achilles soreness late in the fourth quarter of Monday’s game, Alvin Gentry opted to go with an exceptionally young lineup for OT. 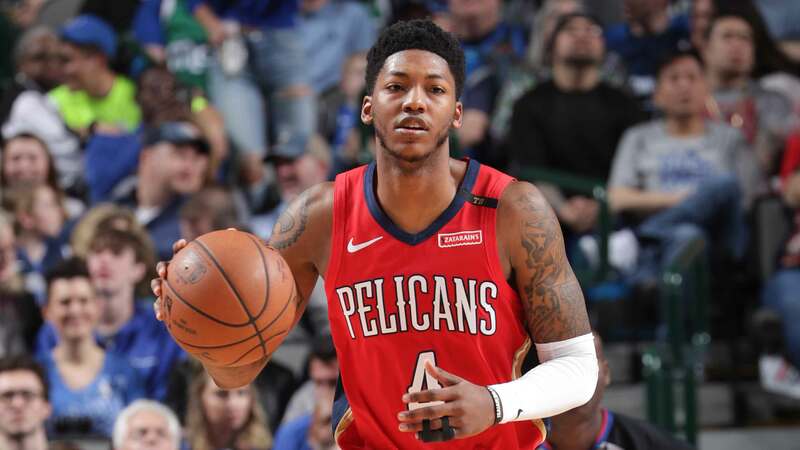 With Payton as the most tested Pelican on the floor, his extra-time teammates were second-round picks Jackson, Diallo and Darius Miller, as well as the undrafted Williams. The group staked the Pelicans to a quick lead en route to winning the OT session 19-15. Jackson and Payton tallied six OT points apiece, while Miller added five. 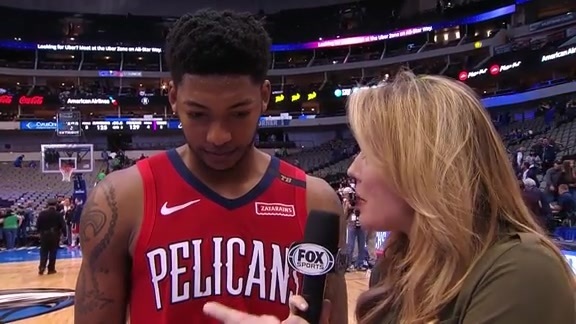 New Orleans has had more than its share of heartbreak this season, entering Monday with the NBA’s second-worst record in clutch time at 14-26, but on Monday the Pelicans were extremely resilient. They trailed by seven points in regulation with 3:36 left, then went on a 16-9 spurt to force OT. 11: New Orleans first-half turnovers, a problem area as the visitors went down by double digits. 6: New Orleans turnovers in the second half plus OT, with just one coming in the extra period. Payton had six assists and zero turnovers after intermission. 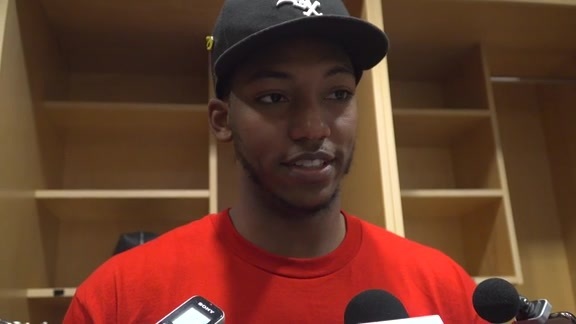 8-11-3-3: Williams’ stat line in points, rebounds, assists and steals. Perhaps most telling in terms of his impact was a plus-17 with the TCU rookie forward on the floor.